For starters, if your backyard garden looks more like a jungle than a neat and tidy outside space then our garden clean up team in SM1 can help. Clearing their way through the most overgrown and unruly lawns and trees, our Sutton gardeners can give you something that resembles more of a lawn or patio space. Competitively priced, our garden tidy ups can be the first step on your garden recovery and can give you the motivation to go ahead and finish the job. So no matter how overgrown your garden has become, our Sutton gardeners will always be happy to offer their gardening prowess. Is the layout and design of your garden space in getting you down? Then why not let our garden design team Sutton take a look. Based upon your likes, dislikes and typical garden use, our garden landscaping team can create you a new garden which is tailored to meet your needs. So if you want colourful wild gardens, sophisticated hang outs or immaculate lawns, our gardening professionals that serve the SM1 region can create it all. If keeping your lawn in an immaculate condition is imperative for your business in Sutton, it is important that you invest in a professional gardening team. Cheaper than hiring and maintaining your own in-house gardeners, our gardening experts in SM1 can monitor and treat your lawn as often as you need. So if your golf course, bowling green or racetracks are starting to raise some concerns, call our gardening professionals to take control today. Our Sutton expert team know all there is to know about lawn care and can implement the best lawn restoration and repair treatments around. So don’t risk the reputation of your or business, when you can call our reliable team on 020 8434 7256 today. Our Sutton gardening team are also experts at creating a garden design to suit the character and ambience of your restaurant or bar. Fine dining, pub restaurants and sleek bars can all benefit from a new design from our landscaping team. 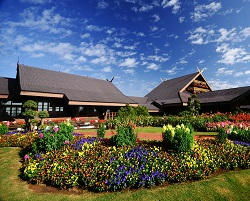 Giving you a unique selling point, our garden landscaping team in SM1 can create sophisticated and chic patio areas, pretty and colourful flower displays and easy to maintain garden areas. So if you want to increase your customer satisfaction, and your sales revenue, an update from our Sutton gardening experts could be just what you need. 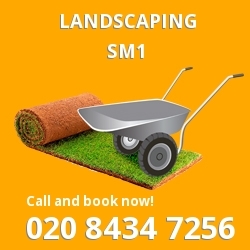 Our gardening services for the SM1 areas have all been designed with you in mind. So whether you need help while you’re on holiday, in hospital or on a business trip we have a gardening package which is perfect for you. 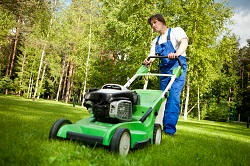 All of our Sutton gardening experts are available to help you with all of your lawn mowing, planting and garden tidy up needs and will never leave you before it is all complete. So if you want a great gardening service in the Sutton area, call London Gardeners for a free and no obligations quote today.